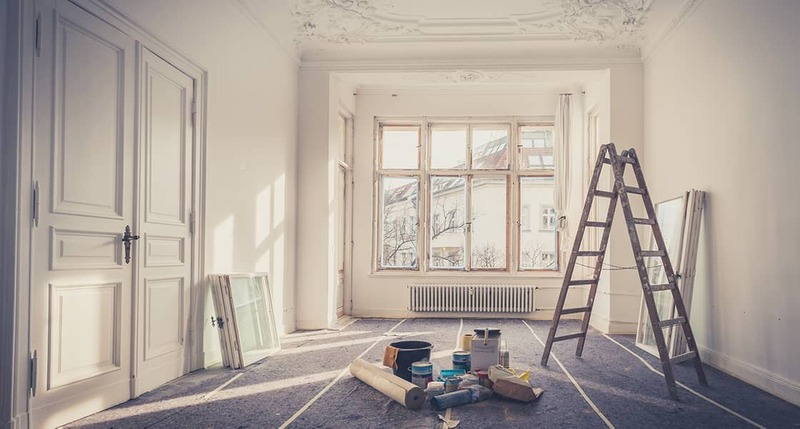 Whether you’re lucky enough to have a grand Victorian house, an Art Deco-era apartment, or simply an older property with a good dose of charm, renovating can be a challenge. After all, you want to make sure you’re living in a space that’s modern enough to be comfortable and functional, but still retain all those endearing quirks that give your home its unique character. To bring your home into the 21st century while preserving its character (and it’s resale value! ), here are our top tips for old house renovations. So, it’s time to give your character home a facelift. But how do you bring the comfort and practicality of modern features to your property without detracting from its original charm? Start small by updating those areas that are in most urgent need of repair but that don’t require you to make major changes to the structure of your home. For example, a fresh coat of paint on the walls or ceiling or re-plastering of your cornices can make a huge difference to the look and feel of a room without impacting it stylistically. Likewise, focus on functionality rather pure aesthetics by updating areas that you use often for practical purposes, such as the kitchen and bathroom. Most prospective buyers will expect a home to be appointed with modern amenities such as a dishwasher and a heating and cooling system, so making these changes is a safe bet from a resale perspective. If you want to make stylistic changes to your space, choose contemporary décor that can easily be changed or removed, so it doesn’t alter the foundation of your home. Last but not least, it’s critical to do your homework before choosing a professional to make any significant changes to your home. Look for a dedicated home restoration company, or choose a contractor with specific experience working on character homes like you own. To find the current value of your property, get started with Upside’s free online property report today.